When it comes to kids’ shoes and baby shoes, a good fit, durability, comfort, and meeting the approval of the child who’ll be wearing them are all essential components. These articles cover some of the most popular brands and styles, and will help you learn more about choosing footwear for children and infants. Whether they’re ruining them, or just outgrowing them, if you have children, you know how quickly they go through shoes. These articles and tips will help make shopping for children’s and baby shoes a more enjoyable experience for everyone. Today’s kids wear a lot of different hats, consequently, they need a lot of different shoes. One minute, they need shoes for the soccer pitch, the next, they need dress shoes for the choir concert — and that’s to say nothing of the sneakers they’ll want just because all of their friends have them. 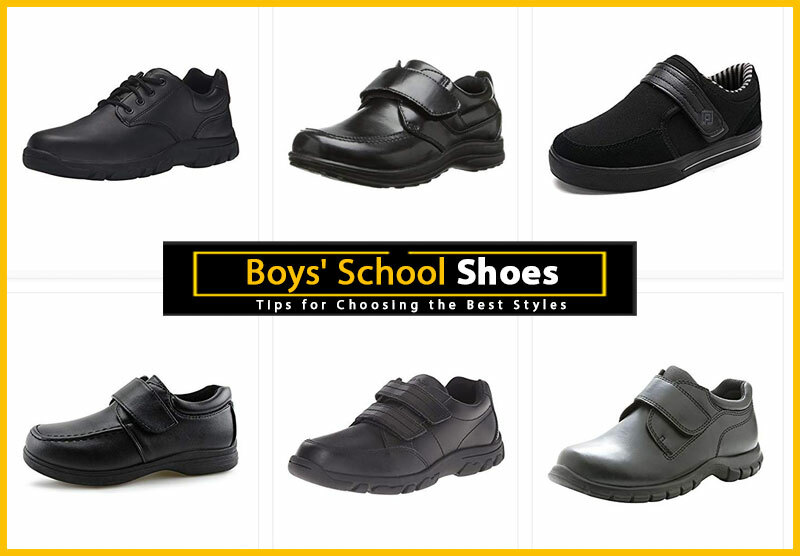 These articles will help you find the perfect shoes for all those occasions, and more. Some of the brands included here offer shoes you’ll wish came in adult sizes, and others you just may not get — but your kids will. Here are a few of the hottest kids’ shoe brands. For proper foot development experts recommend letting your infant go barefoot – but there are times when a baby’s feet will need protection, and you’ll want baby shoes. The information below will help you determine when to opt for baby shoes; what brands and styles you’ll want; and where to find them when you decide. It’s important for anyone to try on shoes before buying them, but it is especially so with kids’ shoes. Since children’s feet grow so quickly, and sizes vary from brand to brand, it’s difficult to know what size your child needs at any given time. Add to that the importance of comfort; keeping up with your child’s changing lifestyle and activities; and making sure the shoes are cool enough to pass muster this month, finding shoe that fit your child’s feet and needs is an ever-changing event. For those reasons, I used to think that buying children’s shoes online was not the best idea. But then it occurred to me that with the exception of frequent size changes, all those same arguments could be made against adults buying shoes online — yet, more and more, people are turning to the web for their footwear needs. In addition to having a larger selection of brands and sizes than what is available in most local shoe stores, online shoe stores also offer a more convenient way of shopping for shoes. And since many of them offer free or easy returns, ordering shoes for growing feet may not be as difficult as one would expect. So, why shouldn’t shopping for kids’ shoes be as simple as shopping for adult footwear? Especially when shopping for kids’ shoes can be such a nightmare for many parents. I can now see how the advantages may outweigh the disadvantages, but due to the sizing issue, I still think parents should proceed with caution when shopping for on the web for children’s shoes. The following pages contain tips to make the experience go a little more smoothly, as well as detailed information on a few of my favorite online shoe stores. Shopping for kids’ shoes online is essentially the same as shopping for adult footwear, or anything else for that matter — there are a few precautions that should be taken. Here are some things that you should check before shopping with any online retailer. Need the shoes in a hurry? Be sure to check the site’s shipping policies to see how long it will be before you receive your delivery. Also pay particular attention to whether or not the item, color and size you want is in stock — it’s sometimes easy to miss text indicating that an item is on backorder, or being pre-ordered. Several online shoe stores offer free shipping, but it should never be taken for granted. Check the site’s shipping prices and methods to find out whether their prices are really as good as they look. While you can find some great deals online, if shipping adds too much to the price, you may be better off to find the item locally. Even the easiest return process can still be a hassle. Before buying from any site, make sure that you can return the shoes, and find out how long you have to do so. Also verify who pays for return shipping (some sites include a free return label), what shipping method can be used, and whether or not you’ll be issued a full refund or a store credit. Some sites have different policies on sale items than they do on regularly priced items, so it’s also worth looking into what items are eligible to be returned. My favorite online shoe stores are the ones with the best customer service. If it’s the first time you’re ordering from a site, check for a customer service email address, or better yet a phone number, so that any concerns you have can be answered by an actual person. While it’s best to check online for policies before calling with all of your questions, you’ll want to know that should any issues arise, someone will be available to handle them quickly. The following page has detailed information on a few online retailers of kids’ shoes that may be worth a look. When I’m shopping online for shoes for myself, my first stop is always Zappos. In addition to having great customer service, free shipping and free return shipping for shoes in new condition, they offer a staggering selection of brands and styles. To give an example, my most recent searches returned over 1400 results for girls athletic shoes in toddler sizes, and nearly 1100 styles of girl’s dress shoes in youth sizes. With footwear conveniently organized by gender, shoe type, age group or brand, navigating the Zappos web site is a breeze, and is quite addictive once you realize you can also sort your choices by price, size, color, width and heel height. And with brands like Steve Madden, Nina, Dansko and Skechers, finding shoes that are kid-approved will be one of the easiest tasks you’ll ever take on. With shoe stores conveniently located in malls across the country, Journeys shoes are a favorite among teens and trendy young adults. And with the introduction of Journeys Kidz, now even small children to find the hottest styles in casual and athletic shoes from brands like Crocs, Puma, Diesel and Heelys. And even if your child isn’t quite old enough to be interested in the latest skate shoes, don’t worry, this hip retailer carries styles for infants and toddlers as well. In fact, it’s the perfect site for finding crib Converse, and toddler-sized Vans. In short, if you want to know which styles and brands are hottest with kids and tweens, check the inventory at Journeys Kidz. I’ve personally never shopped at this site, but they have some of the cutest and most fashionable children’s styles I’ve seen in a long time. Stocking shoes for infants, toddlers, boys and girls — they also offer a small selection of unique women’s shoes, as well as rain and dance wear. Merrell, Michael Kors, Naturino, and Primigi are just a few of the brands you’ll find at this well-designed site. Their regular prices are extremely competitive, and some exceptional deals can be found among their sale pages. IfTheShoeFitsEtc.com also has informative size conversion and Frequently Asked Question pages that parents will find extremely helpful. And if you’re looking for socks or tights for your kids, you definitely won’t want to miss their accessories page, filled with fun and unique hosiery that you and your kids will love. How can I shop online for kids’ shoes if I’m unsure of my daughter’s shoe size? Question: How can I shop online for kids’ shoes if I’m unsure of my daughter’s shoe size? I recommend having your child’s foot professionally measured at regular intervals to ensure that she is wearing the right sized shoe. It is important that children’s shoes fit well because their feet need good support and room to grow. However, when you are ordering shoes online, and your child hasn’t been fitted recently, you’ll have to measure her foot yourself. Good news! Stride Rite has made shopping online for children’s footwear worry free. Their handy sizing tool, E-Fit helps you choose the perfect sized shoe for your child in 4 easy steps. All you need is a printer, a piece of paper and your child! Download and print up the E-Fit sizing chart, and have your child step on the paper. The chart will help you measure the length and width of her foot. Plug the information into the E-Fit tool, and choose what type of footwear you need. Stride Rite’s website will then show you what they have available in the size and style that you are looking for. What could be easier?